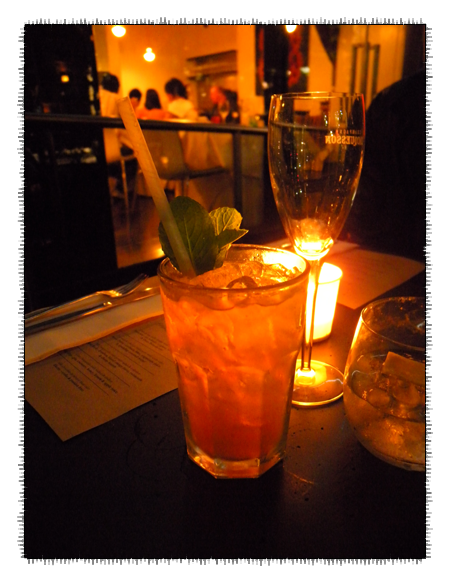 While this isn't the first time we've been to the Cocktail Nights at Café Vue, this is the first time I've actually managed to get decent semi-decent passable photos! The theme for this month is "Friday Night Fever" - each drink coincides to a different musical genre and the theme even extended to the music being played. 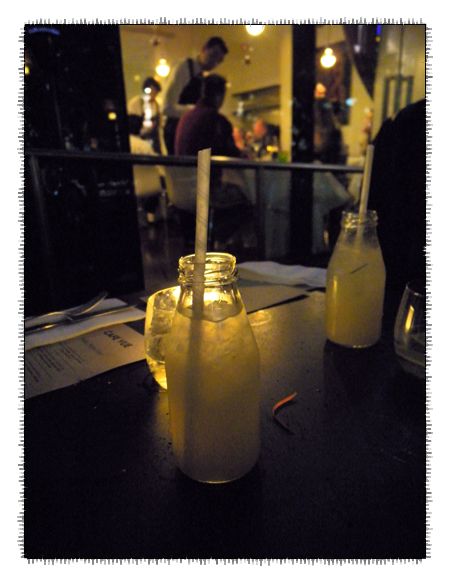 For a drink that is basically spirits, it wasn't overpowering at all. 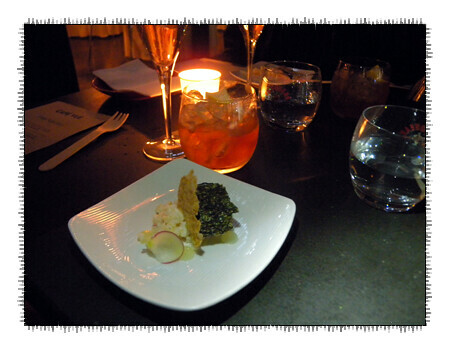 The flavours really worked well together, a bit of sweetness coming from the vermouth and benedictine. The chicken was poached in coconut milk - very tender and moist. 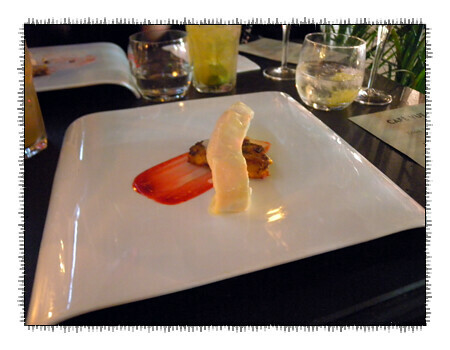 The corn cake was fabulous, chock full of sweet corn with a perfectly crisp outer casing. 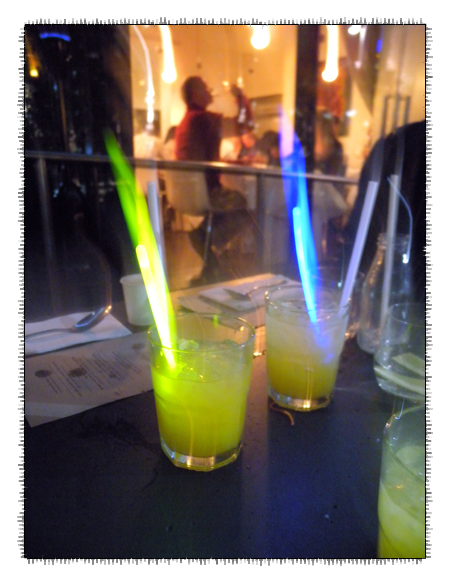 Probably our favourite drink of the evening - and one we ended up having seconds of. I'm not usually a fan of cherry brandy but in this drink it just works. Complete with glow sticks. 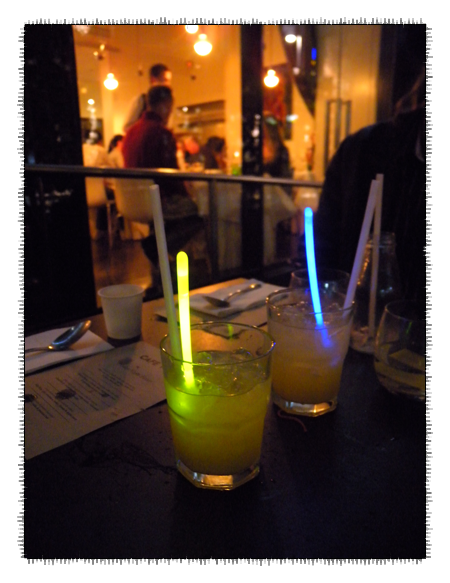 It was funny seeing some of the diners inside Vue de Monde almost pouting because they didn't have glow sticks. For educational purposes only, this photo shows you how the world looks when you've had too much to drink. 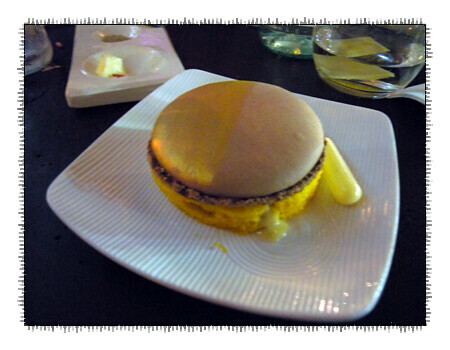 The dessert consisted of a giant milk chocolate macaron sitting atop a light sponge. 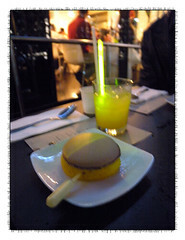 Inserted in the base was a tube of passionfruit creme. 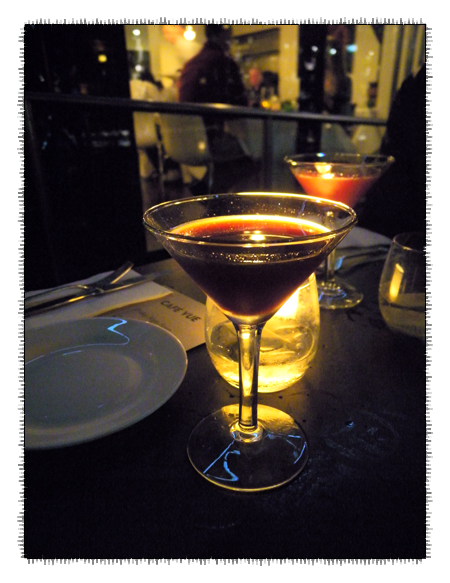 This would probably be our favourite cocktail night - the drinks were beautifully matched to the food and as stand alone drinks, I'd happily have seconds of everything. 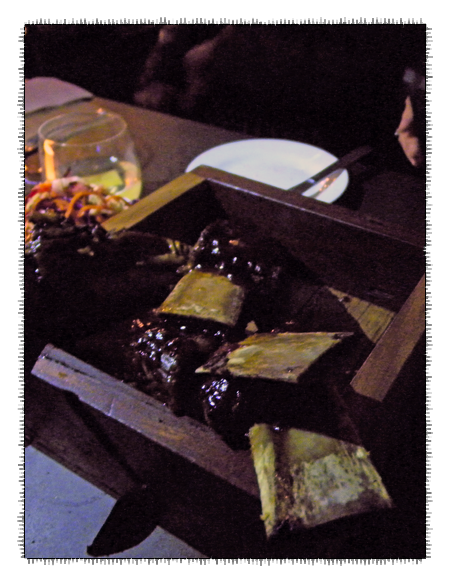 The food was terrific but those beef ribs were out of this world fantastic. Incorporating the music also gave it such a fun atmosphere. 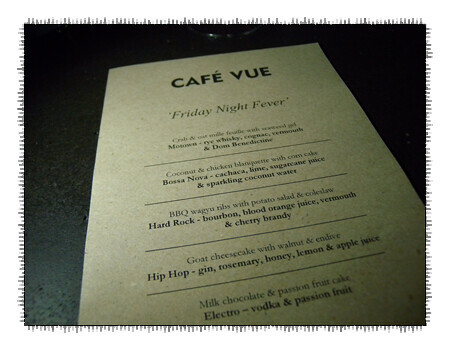 I've heard so much about Cafe Vue... should really get myself over there sometime soon! The glow sticks were so much fun. The cocktail nights are really good and pretty exceptional value too. 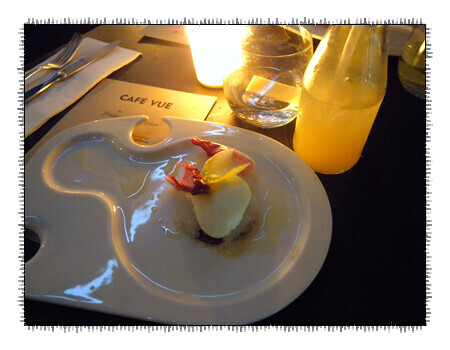 Can certainly recommend both Cafe Vues at 401 and Heide for lunch and dinner.